More people are living longer. 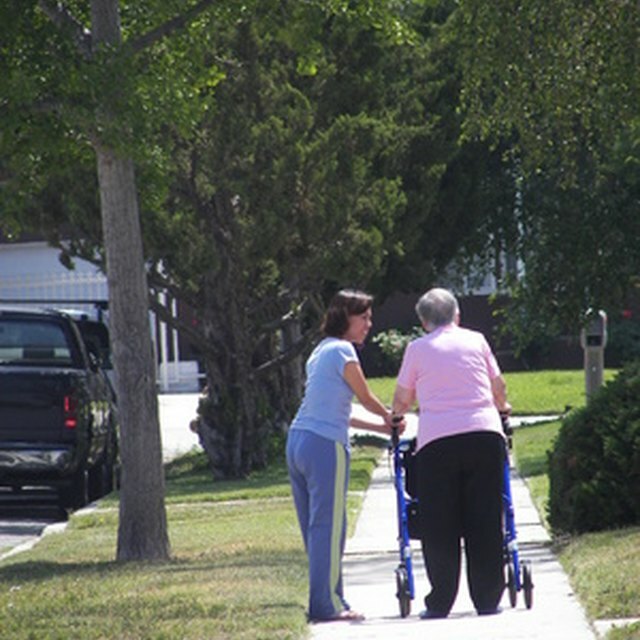 As a result, the elderly population is increasing, and assisted living and other medical services are in high demand. These services are expensive, often costing hundreds of dollars per day. Protecting hard-earned assets and savings with such looming costs is a significant challenge. In some cases, individuals purchase health insurance policies that cover the cost of assisted living care. These policies cover assisted living under long-term care benefits. Depending on your specific policy terms, some or all of your savings and assets would be safe. The problem with these policies is that you have to purchase them early. Bankrate.com explains that if you already are living in a care facility or are diagnosed with a condition that requires assisted living care, or if you are older than age 85, the lower your chances of eligibility are. If you do not have insurance, another option for paying for assisted living is to use federal assistance programs such as Medicare and Medicaid. These programs may cover certain assisted living expenses. However, regulations vary from state to state depending on the program, and they are not designed for long-term care. Additionally, in order to qualify, you often have to "spend down" your savings and assets. This is because these programs are based on financial need. The idea is that someone capable of paying for care should not rely on government aid. The last option for protecting assets and savings from assisted living is to leave the burden of cost with friends or relatives. This may be feasible if the friends or relatives have significant income individually or collectively. However, this usually isn't the case. Subsequently, this really only would tie up others' finances in your care and force them essentially to spend what they'd gain in inheritance preemptively. No truly "good" solution exists to the issue of protecting savings and assets from assisted living expenses, as of January 2011. This is why, as the National Senior Citizens Law Center says, assisted living is still largely a private-pay business. Because the odds of having to use your own funds for assisted living care are so high, you should plan accordingly financially. Setting aside more money for elderly care at least may reduce the percentage of your other savings and assets the assisted living facility will claim.